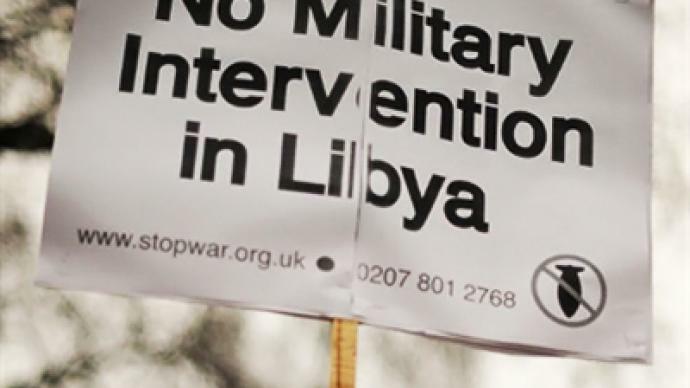 London is bracing itself for a wave of public anger this weekend as protesters are planning to take to the streets to demonstrate against the West’s military intervention in Libya. ­What many of those who will march seem to particularly object to is Western governments’ habit of lashing out at other countries for not listening to their people, while blithely ignoring public opinion on their own doorsteps. This Saturday London might experience the biggest protest in its history, even bigger than the anti-war coalition managed in 2003, reports RT contributor Ekaterina Zatuliveter from the British capital. To date, groups of protesters have not been well organized, but they have now decided to unite everybody affected by the actions of the coalition government. 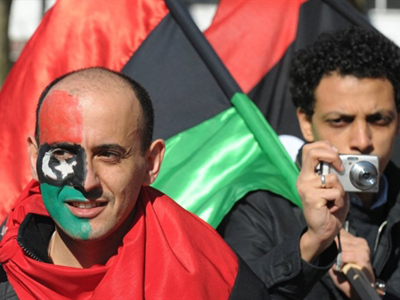 According to polls 35-45 per cent of the British population is opposed to the intervention in Libya and many of this group aim to make their voices heard on Saturday. Any peaceful public protest is part of any democratic system but there is some inconsistency here. 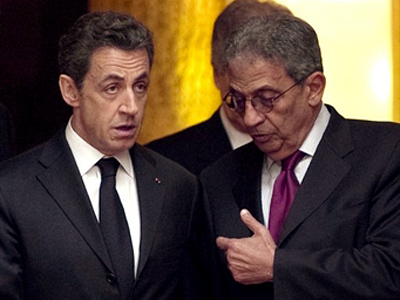 The privilege to ignore the voice of the public belongs to the West. If any government anywhere seems not to pay attention to its citizens rallying on the streets, such a government immediately comes under fire – sometimes quite literally – from the leaders of the western democracies, which label them “undemocratic”, an accusation that seems to carry great weight in the modern world. 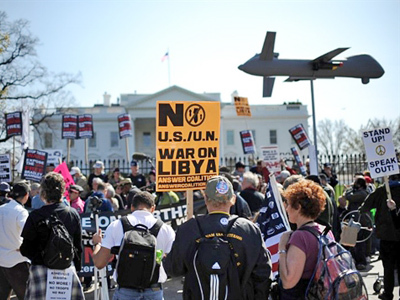 Western democracies, in turn, can quite easily ignore of thousands of protesters without batting an eyelid, as in the UK, where despite considerable public opposition the establishment unanimously supported the Operation Odyssey Dawn in Libya. On Monday, two days after the UK started bombing Libya, the House of Commons showed rare unity when Labour MPs occupied seats next to Tories and Lib Dems to vote in support of the military operation in Libya. 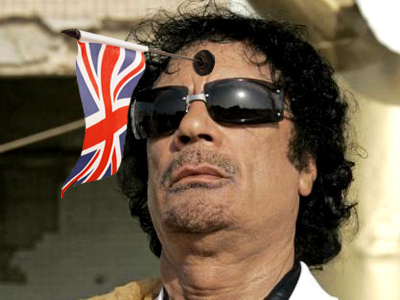 In the meantime, British media reports that the operation in Libya has already cost the United Kingdom US $245 million. 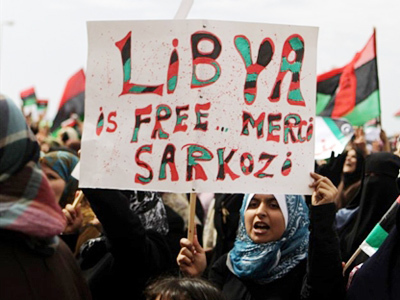 According to British television Sky News, almost ten million dollars of British taxpayer money are being spent daily to support the no-fly zone over Libya. 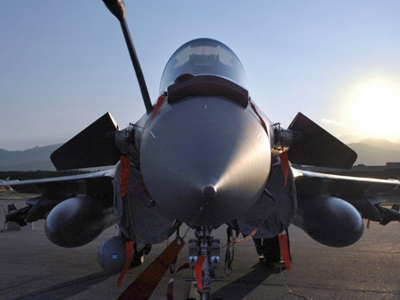 One hour of flight for the Typhoon fighter jet costs the UK budget US $115 thousand. 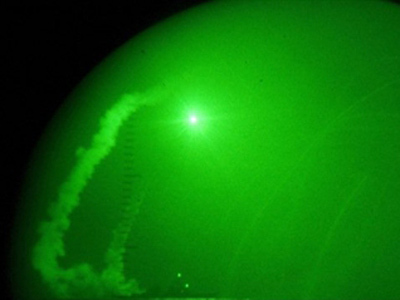 According to British mass media, the country is considering sending a second nuclear-powered submarine to the Mediterranean, as the British submarine “Trafalgar” has already exhausted its armament of rockets. 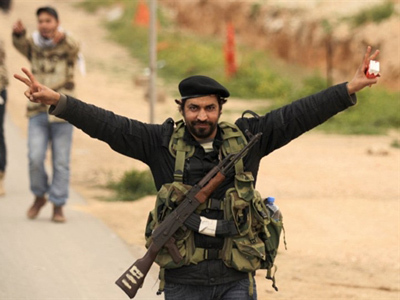 The Daily Star newspaper quoted a British military source as saying that the current operation against the Gaddafi regime is difficult to sustain, adding that Britain will soon be left without its armory.